Emma is the Client Relations Manager at Clapham and Collinge and joined us in January 2018. 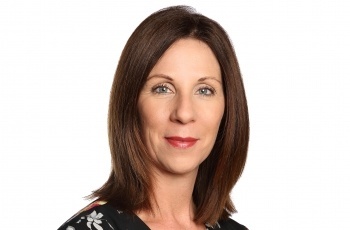 She has a good understanding of the Legal industry having worked with a number of Law Firms across Norfolk and Suffolk, in her previous role as a Legal recruiter. Emma is responsible for building strong relationships with our Clients and continually looking at ways of improving and enhancing the customer experience for both existing and new Clients to the Firm, as well as looking at new Business opportunities. Emma has excellent inter-personal skills and prides herself on her professional and friendly persona having spent 10 years working for the Royal Bank of Scotland and Natwest Commercial Banking in various customer service based roles. Outside of work Emma enjoys reading, kettlebell classes and spending time by the sea in the family beach hut in Southwold. I feel compelled to relay my sincere thanks for your recent services. From the initial telephone contact with your offices my enquiry was expertly managed by Emma Flock as Client Relations Manager. She fastidiously took the time to fully understand my positioning prior to attending your offices for an initial review and clearly set out a framework of costs and expectations. Nicola Strefford, Head of Employment Law and her management support team of Rosa Barker and Ben Lewins professionally handled my affairs to a successful conclusion.